After the loss of the Windjammer family's trading fleet and the deaths of young Adam's uncle and father, he becomes the new leader of the great house. Can he save their fortunes or will enemies like the calculating banker Hugo Van Helsen and the preacher Abner Heems win out? And where does van Helsen's daughter Jade fit into things? Set in the tulip mania of 1600's Amsterdam, this is a wonderfully evocative book which captures the time period perfectly. It's also got incredibly well-developed characters, particularly Adam, van Helsen, and Jade, with motivations being revealed gradually and it's genuinely hard to tell who's a hero and who's a villain for much of the book. Even now I've finished it, I'm unsure as to where some allegiances will end up lying by the close of the trilogy. 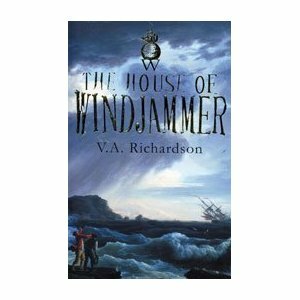 If anything, my only complaint about House of Windjammer is that it's a fantastic start to a trilogy but perhaps slightly less successful as a book in its own right. The ending is a serious cliffhanger which definitely makes me want to read part two but there's nothing much of a sense of resolution to the story. That's a small complaint for such an excellent book, though, and this is a high recommendation.